Scottish women's amateur champion Connie Jaffrey from Kilwinning, a student at Kansas State University, finished T26 in a field of 78 at this week's Minnesota Invitational women's college tournament at Prestwick Golf Club, Woodbury, Minnesota. Connie had rounds of 74, 70 and 73 for a one-over-par total of 217 over a 6,248yd course. She finished 11 strokes behind the co-winners, Muni He (Southern California) 70-67-69 and Inez Wanamarta (Purdue) 70-69-67, who tied for first place on 10-under-par 206, two shots clear of the field. There were two other members of the Kansas State team from this side of the Atlantic. 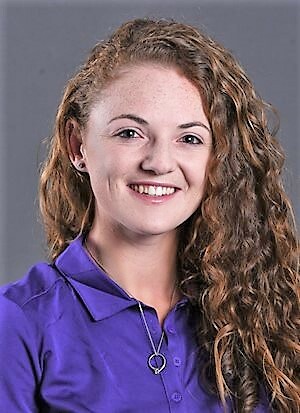 Chloe Weir from Belfast finished on 220 with rounds of 74, 77 and 69 while freshman Niamh McSherry, from Lurgan, Northern Ireland, shot 74, 79 and 70 for 223 and a T50 position.